The Massachusetts election of Scott Brown to the US Senate marks the end of the Obama presidency. Obama was in charge for just one short year. Obama’s first mistake was to bring in Goldman Sachs in the form of Treasury Secretary, Timothy Geithner, and his Goldman Sachs cronies to spread TARP money to Goldman Sachs, and more TARP money (secretly) to Goldman Sachs through AIG. That done, Obama decided to put all his bets on the healthcare bill, or, rather, his “people” decided. In no time, the healthcare bill was reduced to nothing more than a bonanza for the health insurance companies. Obama still pushed for its passage – so he could claim it to be a victory, instead of a defeat – which is what it really was. With the election of Scott Brown, which amazed only Obama, and the defection of Democrats from Obama’s burning ship, no on is talking about the healthcare bill – it is dead and gone. 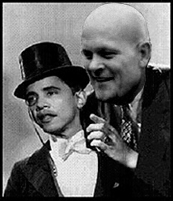 Now, Obama’s reaction is to run from the influence of Timothy Geithner to become a follower of Joe the Plumber. The banks which were good and “too big to fail,” are now bad. It is Obama the follower, and not Obama the leader. In one short year, Obama’s first and last term as President is over. Sure, Obama can strut around, and give speeches, characteristically raising his chin and looking down his nose at the rest of us. He can still shirk by flying around in Air Force One, which he loves to do. But all of that won’t put humpty dumpty Obama together again. As a result, Timothy Geithner will get the gate and a chance for a big job at Goldman Sachs. Support is withering for Fed chief Ben Bernanke, who will also have a chance for a big job at Goldman Sachs. Hillary will stick around for a while to bolster her credentials, before leaving to prepare to defeat Obama and become the 2012 Democratic nominee for President. Let’s not forget Michelle Obama. 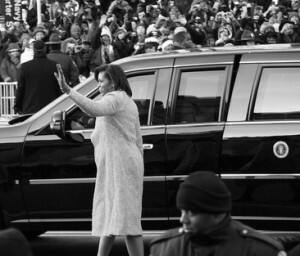 She was Queen for a Day at Obama’s inauguration. Now, the rumor is that Michelle wants Hillary out, along with Oprah. And who is in? Joe the Plumber is in. Fed chief Ben Bernanke says the recession is over. Whoa! With the tanking stock market, and rising unemployment, what can be next – other than a recession, or the next Great Depression.